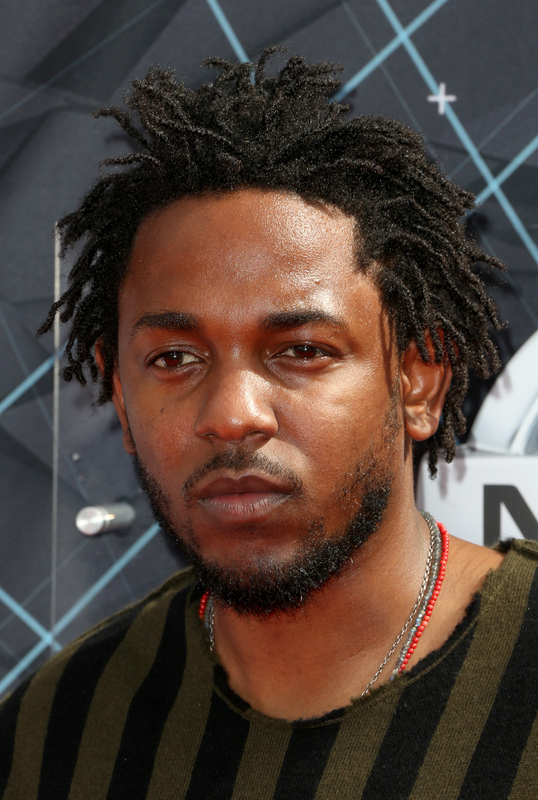 There was no better way to kick off the 2015 BET Awards than with King Kunta himself. Kendrick Lamar performed "Alright" at the 2015 BET Awards, and delivered a show with a statement, as is his style. Lamar opened the 15th annual awards show atop a police car covered in graffiti, with an enormous American flag waving in the background. The set appeared to be an homage to his native Compton, California (and possibly a reference to Lamar's work on the soundtrack for the upcoming Straight Outta Compton ). But Lamar also has a history of speaking out about police violence, especially the riots in Ferguson, so the set could be a commentary there, too. Lamar, with his carefully-crafted lyrics, introspective style, and incredible flow, is truly dominating hip-hop right now. Not only is his remix of Taylor Swift’s "Bad Blood" no. 2 on the Billboard Hot 100, his third album, To Pimp a Butterfly, is getting major applause from critics and fans. Plus, Lamar could pick up a couple of awards tonight, as he’s up for Best Male Hip Hop Artist and the Coca-Cola Viewer's Choice Award. The rapper's music is romance, rage, and revolution all at once, so Sunday night's performance clearly fits. You don’t just casually listen to one of his albums. You absorb it, and you let the words wash over you until your pedestrian brain finally catches every bit of meaning. Lamar is also slated to team up with Chris Brown later in the show to perform “Autumn Leaves." But, with a tribute to Janet Jackson scheduled — and her surprise tour starting in just over a month — the real question is whether Lamar and Jackson will team up to perform my all-time favorite Kendrick Lamar song: "Poetic Justice." Go ahead and watch the video. It's worth every second of your time.